Possess significant antioxidant activity against free-radicals -- damaging compounds in the body that alter cells, tamper with DNA (genetic material), and even cause cell death . Potentially boost metabolism, thus contributing to healthy weight management. Help to maintain healthy blood sugar levels. Kill bacteria on contact, killing oral bacteria & helping prevent cavities & bad breath. Help to maintain the growth of friendly bifidobacteria, called probiotics, are a natural part of the bacterial flora in the human body and have a symbiotic bacteria-host relationship with humans in the intestines. Protect against the growth of dangerous intestinal bacterial strains such as clostridia & E-coli. Cancer surgeons at the Robert Wood Johnson School of Medicine in New Jersey studied the effects of green tea (EGCG) on the rectal lining cells in human volunteers. Using a single dose containing up to 1.8 grams of green tea solids, the results showed levels of the inflammatory mediator (prostaglandin PGE2) fell substantially in the rectal cells of all subjects, with 10 out of the 14 actually showing declines of at least 50%. EGCG like the supplement Resveratrol slows blood vessel formation in tumors(angiogenesis) reducing the growth & spread rate. In another study conducted by German scientists in 2008 showed that green tea polyphenols generally deliver a direct preventive effect against colorectal cancer recurrence. 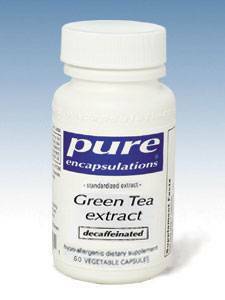 After having their cancers or pre-malignant polyps surgically removed, patients were given either a green tea derived flavonoid mixture or a placebo. These patients were then followed for up to 4 years. The results showed 47% of the placebo group experienced full cancer recurrence or recurrence of pre-cancerous adenomas, while only 7% of the supplemented group developed only a single adenoma. Showing that sustained long-term treatment with a flavonoid mixture could reduce the recurrence rate of colon neoplasia in patients with resected colon cancer.